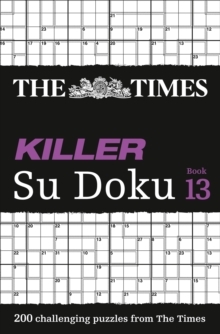 The latest volume in the hugely popular Killer Su Doku series from the puzzle suppliers to The Times, featuring the highest-quality puzzles with an extra element of arithmetic. 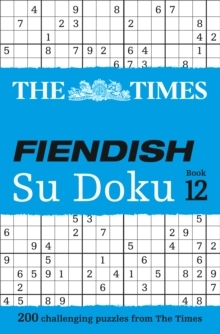 This addition to the successful Times Killer Su Doku series will test your skills to the limit, adding the challenge of arithmetic and taking Su Doku to a new and even deadlier level of difficulty. 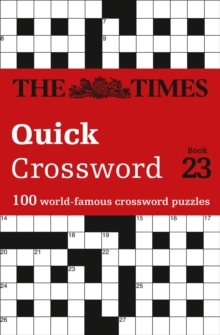 The puzzles use the same 9x9 grid as Su Doku but with an added mathematical challenge. The aim is not only to complete every row, column and cube so that it contains the numbers 1-9, it is also necessary to ensure that the outlined cubes add up to the same number as well. 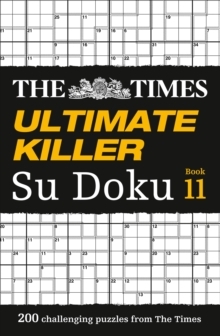 With 200 new Moderate, Tricky, Tough and Deadly Killer Su Doku puzzles, there is no chance to ease yourself in with simple puzzles. 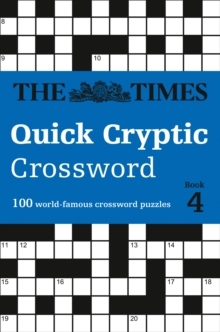 For those who like to live dangerously and pushbeyond their mental comfort zone, steel yourself for The Times' next, terribly tough instalment.